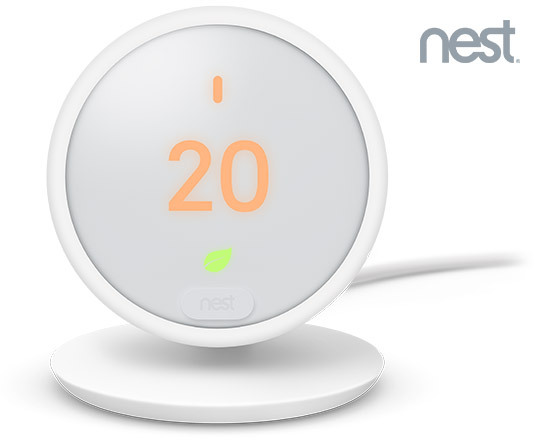 We're the only UK energy provider to offer Nest Thermostat E, at no additional cost. With its built-in stand, you can put the Nest Thermostat E on a sideboard, table or desk in the room that matters most. The frosted display shows you the temperature when you're close to it and disappears when you walk away. There's nothing to program – it's all set with a simple schedule that's easy to adjust. It turns itself down when you leave, so you're not heating an empty home. And it's easy to control. Just change the temperature with the Nest app. Most people install the Nest Thermostat E in 60 minutes or less, because you don't need to access your heating system. The Heat Link E goes in the same spot as your current wired thermostat. And you can put the Nest Thermostat E anywhere you like. Nothing feels better than a brisk winter walk. Except maybe knowing that your home will be nice and toasty when you get in. ¹ Energy savings are not guaranteed and depend on energy usage, weather and other factors. Learn more at nest.com/eu/savings. ² Remote control requires working internet and Wi-Fi. 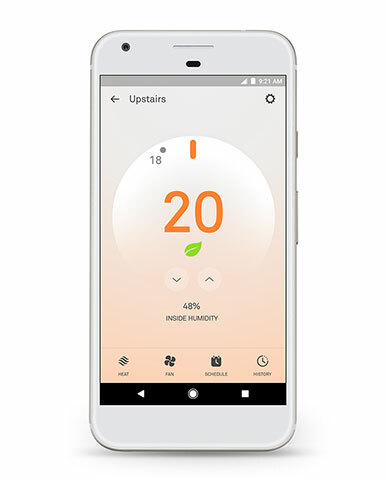 The Nest Thermostat E is compatible with most central heating systems. If you'd like to double check your home's compatibility, just use this tool and you'll know in a few moments. Ready for a more thoughtful home? At Shell Energy, we make it easy to manage the energy you use. Upgrade your home with the latest smart thermostat and you can control your heating - whenever you want, from wherever you are. Within 30 days of switching to a tariff including a Nest Thermostat E you'll receive an email inviting you to claim your new product.